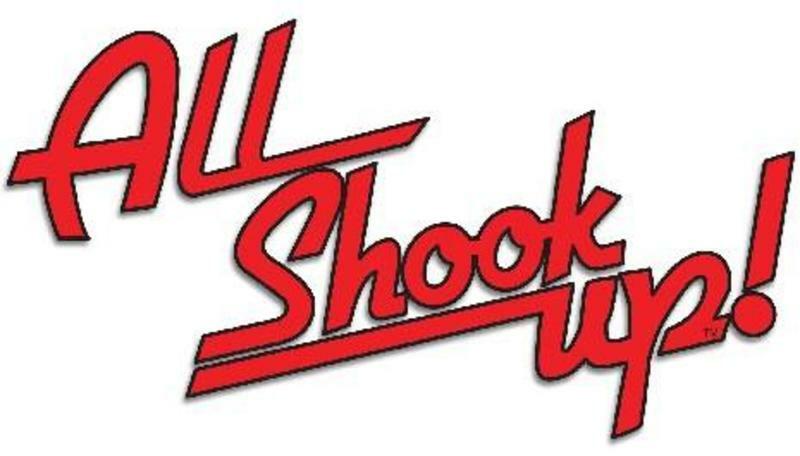 First Christian Church - SERMONS - All Shook Up! Acts 4:23-31 On their release, Peter and John went back to their own people and reported all that the chief priests and elders had said to them. When they heard this, they raised their voices together in prayer to God. “Sovereign Lord,” they said, “you made the heaven and the earth and the sea, and everything in them. You spoke by the Holy Spirit through the mouth of your servant, our father David:“‘Why do the nations rage and the peoples plot in vain? The kings of the earth take their stand and the rulers gather together against the Lord and against his Anointed One. Indeed Herod and Pontius Pilate met together with the Gentiles and the people of Israel in this city to conspire against your holy servant Jesus, whom you anointed. They did what your power and will had decided beforehand should happen. Now, Lord, consider their threats and enable your servants to speak your word with great boldness. Stretch out your hand to heal and perform miraculous signs and wonders through the name of your holy servant Jesus.” After they prayed, the place where they were meeting was shaken. And they were all filled with the Holy Spirit and spoke the word of God boldly. Some marvelous and great things occurred when all of the members of this church were on one accord and prayed. God shook the place. All believers were filled with the Holy Spirit. God answered their prayer and empowered them to continue witnessing boldly. The Church had God’s power, and grace was upon every member of this church. The power of God operates through a praying church. Signs and wonders, salvation and healing, praise and adoration, all take place within the context of a praying church, who believes God hears and is able to provide what is needed. The pattern that we find in the early Church is that they prayed and prayed often! And it’s time for our church to have this emphasis. It’s time for us to enter into the spirit of corporate prayer and forget about our fear of praying in public. Just as individuals are to pray, we are to pray as a church body. We are to pray, believing that God, who is all-powerful, hears and answers our prayers. Doing this will shake us and change us; bringing the life of the Spirit, who is God, into our midst. I. Life-shaking prayer recognizes that God is in control and the prayer worships Him. A praying church is a worshipping church, who loves God. When we pray, uninhibited by fear of what others think, prayer will lead to worship. We won’t be afraid to lift up holy hands. We won’t be able to constrain saying "Hallelujah, Amen, Yes Lord, or Praise the Lord." Our focus will be upon Christ, not what someone else is doing. We will be praying, worshipping Him, and enjoying it because we sense His pleasure, presence, and love. "Sovereign Lord," they said, "you made the heaven and the earth and the sea, and everything in them” (24), thereby, recognizing God as Creator and Ruler. God has all authority over man and power over everything in heaven, on earth, and everywhere in between. II. Life-shaking prayer believes that God works through opposition. Peter and John had just been face-to-face with the same men responsible for the crucifixion of Jesus. It wouldn’t be that difficult for the high priest to use his power and influence to end the lives of the followers of Jesus, too. There will always be those who oppose God and His will. When we face opposition and hard times, we can be assured that God has everything under control. There is nothing that can come our way that escapes God’s notice. That does not mean that we passively accept everything that happens to us as God’s will. The enemy is working, too. We need to ask God to show us His will for our lives so we can be in step with what God is doing. If God allows something to come our way, He may be teaching us to call on Him for help, using His authority, the Name of Jesus, to overcome opposition. Other times, He may want us to simply endure what is happening, trusting Him for the outcome. In either case, God works through opposition! His kingdom will come and what He wants to happen will happen, regardless of the enemy’s efforts to oppose Him. However, since we are human, we have to deal with fear and discouragement. Sometimes the enemy will scare us, but God wants us to trust Him, have courage, and rest in His peace. Jesus said, John 16:33 "I have told you these things, so that in me you may have peace. In this world you will have trouble. But take heart! I have overcome the world." So, the real critical issue is not our troubles, it is the prayer life of a Church. If the critical issue of prayer is solved, every other problem will find a solution. Difficulties will disappear; obstacles will be removed. When the Church prays with faith in God, God provides what is needed to accomplish His will through us. III. Life-shaking prayer seeks courage from God, because our flesh is weak. Now, because the disciples had witnessed the risen Christ, and had seen Him ascend into heaven, their awe of Jesus was greater than their fear of those who had put Him to death. Nevertheless, we find them praying and asking God for courage. In v.29 they pray, “Lord, consider their threats and enable your servants to speak your word with great boldness.” Why did they ask for great boldness? Because they did not have it. They knew they needed more boldness in order to effectively do God’s will in light of these serious threats. When we lack courage to do God’s will (especially in relation to sharing the Gospel), we need to know where our ability comes from. Apart from Him, we can do nothing. We do not have to pretend to be brave when we’re not. It is okay to say, “Lord, I’m scared. Please give me courage to do what You want me to do.” God is delighted to answer such a prayer. When Jesus gave His disciples the Great Commission to go into all the world and make disciples of people from all nations, He promised He would be with us. He will never leave us or forsake us. He will give us the courage we need to face the opposition, to speak His truth, and to love people who need to hear the Gospel, regardless of cultural differences. Why would they ask for this? I wonder what they would have said, if we could have asked one of the apostles to complete this sentence: We need healing because…. There are several ways to complete the sentence. “We need healing because we don’t like to be sick.” “We need healing because God’s people should be healthy, or because God wants what is best for His kids.” Those are common beliefs of today that lead to disappointment while we are sick. The motive of such beliefs is self-centered. Self-pity arises and we think God doesn’t love us. God doesn’t hear us. God doesn’t care. The focus is on self. If we just want miracles and healing to make us feel better and for personal blessings, we probably won’t see them nearly as often as the early church did. However, if we are reaching out to friends and neighbors, telling them about Jesus, and praying for a miracle in their lives, then I believe God will come through some way. Why? Because, He is still doing miracles today through His servants who are working among people who do not know Him. He wants to show His power and love to them. He wants them to learn to trust Him, and know He is God. And if they know God is able to heal their bodies, or do other signs and wonders, then they will know He is powerful enough to forgive them and help them in other areas of life. That has always been the purpose for God’s miracles throughout time and the Bible. The biggest miracle that occurs in a praying church is that it becomes a spiritual church. In a spiritual church, there is very little arguing, fighting, and focusing on things that do not matter, because our eyes are on Jesus. A spiritual church is where people are maturing, growing in the Lord, loving one another, and ministering to one another. A spiritual church reflects the character of Jesus; becoming a sign themselves that Jesus lives and is present in our midst. Nothing but the miraculous working of the Holy Spirit can create such a spiritual church. Ephesians 2:21-22 In him the whole building is joined together and rises to become a holy temple in the Lord. And in him you too are being built together to become a dwelling in which God lives by his Spirit. There is a reason God has placed us here, in this community, as part of His church. This church has a mission! Our mission is to make disciples, reaching every person we possibly can with the good news. There are a lot of ways to do this, but if we try to do it without praying for God’s power and direction, we will be ineffective! Notice, as these disciples prayed and praised God, who had brought the release of Peter and John, their prayer didn’t become a plea that He would keep Peter and John safe. So often, that’s where our prayer ends; for we say, "God, You have brought us out, now keep us safe." But that wasn’t the emphasis of their prayer. They pleaded to the Lord that He would enable them to go on preaching the Gospel with greater boldness. They did not pray, "Lord, don’t let it happen again." They prayed, "Lord, do it again! But this time, give us greater boldness that we may speak Your Word!" If we really believe there is only one way to be forgiven – through faith in Jesus, and if we really believe the only alternative to God’s forgiveness is Hell, then we will make it our priority to share the good news with everyone we can. We will make it our priority to pray and ask God to empower us do what He has asked us to do. This is the kind of prayer God wants to answer! When we give ourselves to Him and pray for His power, He will make sure we have everything we need to carry out the task of making disciples. The reason converts are not won to the Lord is the church, in general, is not praying for conversions! A church that is praying for boldness to share the Gospel is going to win souls to the Lord. We must have a burning desire to make salvation known to sinners. And the only way salvation will be known by sinners is if someone opens their mouth and proclaims boldly that Jesus can save to the uttermost, regardless of anything they have done. Many souls are won to Christ as we speak to people one-on-one about Jesus. All of us are ministers of the Gospel. And so, we should pray "Lord, give us the power of your Holy Spirit so we might have greater boldness to speak about Jesus! When we begin to pray like that, the Holy Spirit will work in miraculous ways in First Christian Church of DeQueen! For when God is in a place, there is a shaking, and we will never be the same! For if we pray, we will praise. If we pray, we will witness. If we pray, we will worship. If we pray, we will give. If we pray, we will be spiritual. If we pray, we will evangelize. But if we don’t PRAY, BELIEVE and RECEIVE, we will DOUBT and DO WITHOUT!!! We need to start praying some life-shaking prayers! Why? Because life-shaking prayers remind us that God is in control of all things. Life-shaking prayer understands that opposition does not stop God’s plan, but that He works through it. Life-shaking prayer gives us boldness to carry out God’s will. Life-shaking prayer believes God for healing and miracles, which will help convince people that Jesus is the answer. Life-shaking prayer will help us share the gospel boldly and effectively. Life-shaking prayer should take place in our private lives, too, but there is something special about believers praying together. That kind of praying may or may not be in a church prayer meeting. It can happen anywhere 2 or 3 are gathered to call on the name of Jesus. In the book of James, we read that the Christians he wrote to were lacking what they really needed because they were not asking for it. When they did pray, they asked with wrong motives. James 4:2-3 You want something but don’t get it. You kill and covet, but you cannot have what you want. You quarrel and fight. You do not have, because you do not ask God. When you ask, you do not receive, because you ask with wrong motives, that you may spend what you get on your pleasures. What do our prayers look like? Have we been praying for boldness so that we can share God’s message of love and forgiveness with others effectively? We cannot ignore the fact that our most important task in this life is to pray and share God’s love with others. We are called to know God, be filled with His Spirit, and to make Him known to others. Let’s ask God to help us do this by the power of the Holy Spirit.